Headstone only has Over the Hill so you can add a name or number to personalize. The Headstone only has Over the Hill so you can add a name or number to personalize. 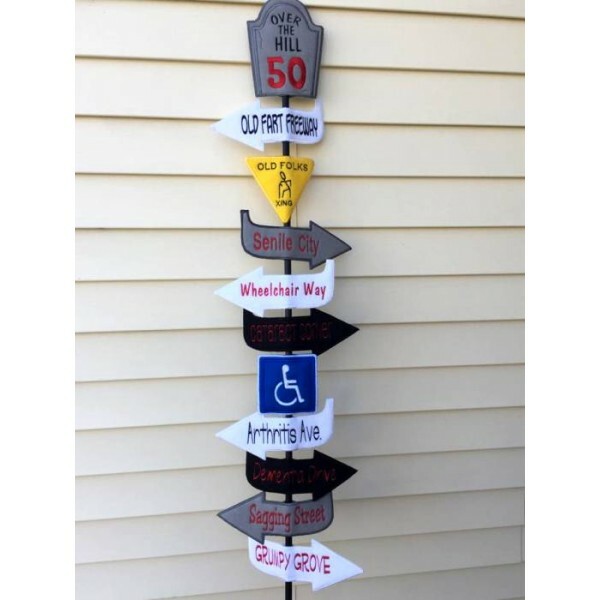 This is perfect for parties and more! 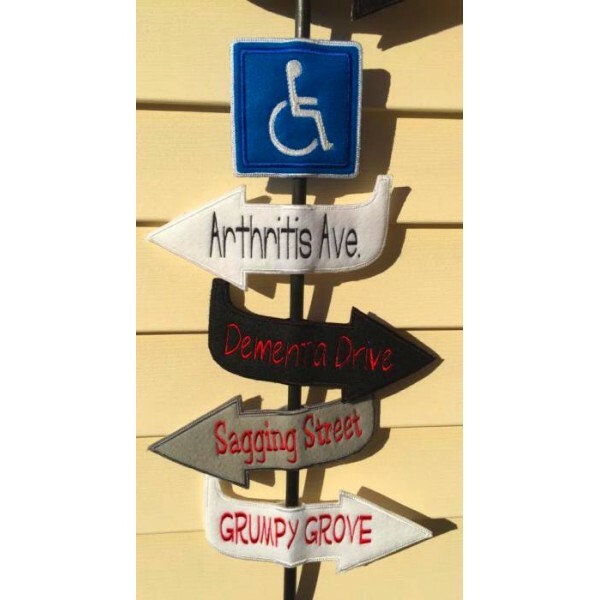 The streets include Cataract Corner, Arthritis Ave, Wheelchair Way, Senile City, Old Fart Freeway, Dementia Drive, Sagging Street, and Grumpy Grove. 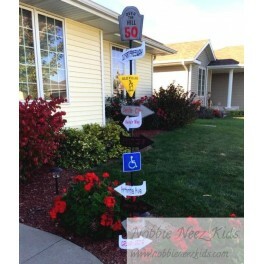 You also get the handicap sign and warning sign. 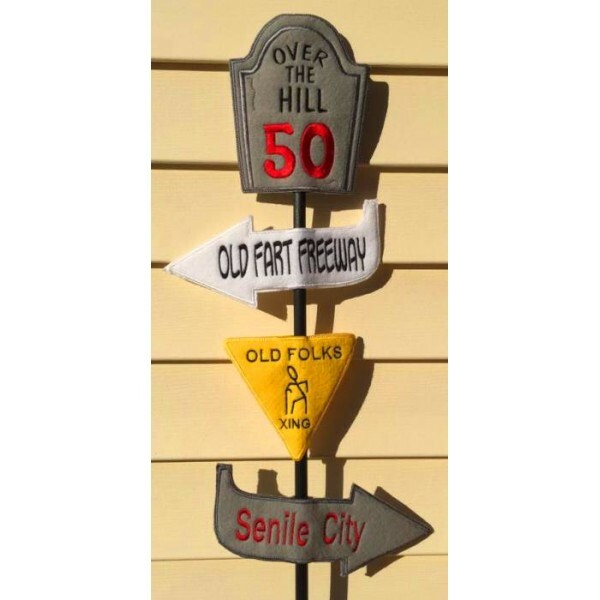 Use them all or a few to make the perfect outside sign!